How to Write an Essay from Scratch | Learn Essay Writing from the Pros! Understanding and analyzing poetry is one of most difficult and taxing exercises in literature. A single poem can hold many different meanings for people, and there is no one correct way to read a particular poem. If you’re tasked to analyze a poem, or if you want to find the meaning of a poem that you really like, here are some ways to do it. In exegesis, the text is understood critically. The meaning is drawn out from the text only, and the interpretations also come from the text. Exegesis is a very difficult reading, but it is the best way to analyze a poem. In eisegesis, the reader makes the mistake of putting his or her own ideas in the reading and analysis of text. Eisegesis is useful in some instances, but definitely not for poems. The goal of analyzing a poem is that the meaning should be drawn out naturally, instead of the reader implying and imparting ideas not found in the text itself. For some, naturally understanding poetry is inherent and doesn’t need to be “taught” in a traditional manner. For others the ideas are harder to grasp as poetry is often not black and white. Private tutoring at home can help you if you are having trouble understanding. Personal coaching in a relaxed atmosphere can greatly enhance the way someone understands and feels poetry. 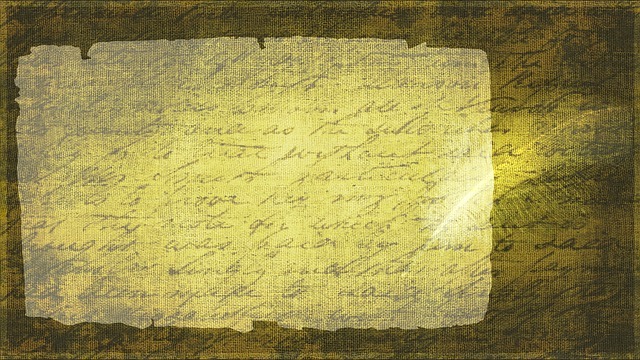 Rhyme may be considered obsolete and passé, but many poems are still written with rhyme considered as part of the form. Literary devices like rhyming words, alliteration, and repetition are used in many poems; however, it’s important to note that not all verses that use a stylistic device can be properly considered as poems. Meter, or prosody, is the structure of the poem. Rhythm is important in poems, especially if the poem is read aloud. Many poems follow a specific metric structure; sonnets, for example, have 14 lines with a rhyme structure followed all throughout the verse. Haiku follows a metric scheme of at least 17 syllables. Free verse is a popular form of poetry. 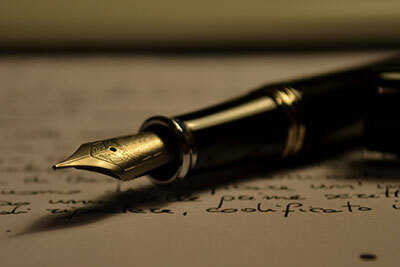 Poets and critics agree that verses need to have a particular form to be considered a true poem; free verse considered as poetry should still be part of the whole poem. A mishmash of verses and words in free verse can only be considered “poetry” if the meaning drawn out of it is poetic. Style. For a work to be considered “literary,” it has to use literary language. Style is very important not only to establish the poet, but also to establish the poem. Style controls the form and the meaning of the poem, and is the reason why some people appreciate a work. Images. When you analyze a poem, it’s important to look for images and other elements to help you visualize the event taking place. Like fiction, good poetry shows the event instead of telling it, and allows the meaning to be drawn out naturally from the verse. Feeling. Emotions are very important elements of poetry. For a poem to be of a significant value to the reader, it has to evoke certain feelings and emotions naturally. The keys to a good poem is that the emotion – like the meaning – should be subtle and moving, and it should be retained in one’s memory. The analysis and critical, careful reading of poetry is an art in itself. With these tips, you can find a deeper and more moving meaning to any good poem that you read. Some people’s biggest exposure to poetry is in nursery rhymes and things like, Roses are red, violets are blue . . . . Unless someone has taken poetry courses in high school or college, its unlikely he or she will know many useful poetry terms like meter, strophes, trochees, iambs or any of the other words used to describe the techniques and word constructions that are used to write a poem. If you want to write poetry or you want to be a more careful reader of it, learning these terms will help. Lets define some terms to help explain this one. Meter refers to the pattern of syllables in a line of poetry or even an essay. The most basic unit of measure in a poem is the syllable and the pattern of syllables in a line, from stressed to unstressed or vice versa. Syllables are paired two and three at a time, depending on the stresses in the sentence. Two syllables together, or three if its a three-syllable construction, is known as a foot. So in a line of poetry the iamb would be considered one foot. Because when you say the words, the is unstressed and iamb is stressed, it can be represented as da DUM. An unstressed/stressed foot is known as an iamb. Thats where the term iambic comes from. Pentameter is simply penta, which means 5, meters. So a line of poetry written in pentameter has 5 feet, or 5 sets of stressed and unstressed syllables. In basic iambic pentameter, a line would have 5 feet of iambs, which is an unstressed and then a stressed syllable. Languages possess inherent rhythms resulting from the interplay of the unstressed and stressed syllables as well as contrast between short and long vowel sounds. In the English language, the rhythms are typically analyzed in the context of a verse, whereby the language’s rhythm usually manifests itself in formal patterns, which can be categorized along 2 separate lines. The first category is on the basis of the pattern on unstressed and stressed syllable in each line, where “feet” is the term given to the groupings of the syllables. Each foot follows a given pattern, whether unstressed followed by stressed, stressed followed by unstressed, or two syllables that are equally stressed. “Iambic” is a term used to refer to a particular type of foot, which is an unstressed syllable that is followed by a stressed syllable, as is the case in the word “compare”. The concept of the iambic meter traces its origins back to classical Latin and Greek poetry, where it is defined by the alteration of short and long syllables. 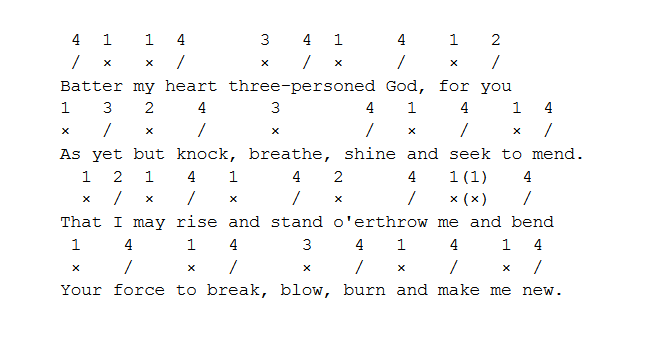 English verse adopted this framework by replacing the long syllables of classic meter with stressed syllables and the short syllables with unstressed syllables. Besides the pattern on unstressed and stressed syllables, lines of verse typically have specific lengths. The lengths are expressed as the feet or number of pairs in a particular line. Lines that have five feet are essentially written in “pentameter”. Iambic pentameter therefore refers to a line with 5 pairs of syllables, where each of the pairs is an iamb that is comprised of a stressed syllable, which is then followed by an unstressed syllable. It is not a must for the syllables to be paired within a particular word, but it can be comprised of 2 words because the English language’s natural inflection is still able to define an iambic rhythm. The break in the formal scheme of the poem, which is caused by the simple declaration that “ice-storms do that” brings attention to that simple statement, whether it is considered by the reader as a simple matter-of-fact aside or a dramatic effect by the poet. The speech clearly opens in iambic pentameter where stresses are one the 2nd, 4th, and 6th words. However, the next two words can be read in a manner of ways, by stressing either “is” or “that” but this will depend on the preference of the reader. The more popular and traditional approach is seemingly placing emphasis on “that”, which basically departs from iambic pentameter. Emphasizing “is” has the effect of retaining the lamb. It is obviously impossible to term one reading correct while calling the other incorrect. At the very least, it is clear than the different readings create different effects, which are further enhanced by the treatment of the words in the rhythmic flow of the line. The famous line from Shakespeare further illustrates a different variation since it contains eleven syllables. The departure from canon is relatively common among different variations where lines end in a last but unstressed syllable, which is referred to as a feminine ending. It is generally accepted that iambic pentameter became the dominant form in English poetry after Chaucer, even though Chaucer might have written more in iambic pentameter than is immediately apparent to later readers. After his death in 1400, changes in pronunciation rendered a final letter “e” after the word silent, and there is reason to believe that Chaucer actually intended for the letters to be pronounced. When it comes to the reasons why iambic pentameter is so dominant, comparisons are often drawn to the tetrameter, which is the iambic pentameter’s main competitor. The tetrameter contains 8-syllable, 4-line beats, iambic or otherwise. Tetrameter is the form popularly used in nursery rhymes and matching cadences. It imposes a very regular rhythm, which might be a limitation in itself. Iambic pentameter offers a less rigid as well as more natural flow that is able to approximate natural English speech better. However, this does not imply that the English language is naturally spoken in iambic pentameter, but it could be that the form is better able to accommodate the intonation and pace of the language smoothly while still allowing for the underlying form to be heard clearly. if YOU | would PUT | the KEY | inSIDE | the LOCKda DUM | da DUM | da DUM | da DUM | da DUMThats the simplest way to define iambic pentameter. Great examples of a iambic pentameter poems would be many of Shakespeares sonnets. He often wrote sonnets and whole lines of dialogue from plays in this meter. It can help to understand the other forms of feet and meter that are used in poetry. These are all determined by the stressing pattern. Understanding the rhythm of poetry and how to read a line to determine whether iambic pentameter or some other meter is used can help you learn to write your own poetry and better appreciate the writings of classic and modern poets. Iambic pentameter is only one of the many forms of poetry structure, and has been popular for centuries; yet, sometimes people still ask, what is iambic pentameter? Iambic pentameter consists of alternating five pairs of stressed and unstressed syllables and each line features ten syllables. Blank verse is the un-rhymed form of this structure and is the English language’s most commonly used metrical pattern in poems. Iambic pentameter examples are one of the best ways to explain this particular form of poetry. 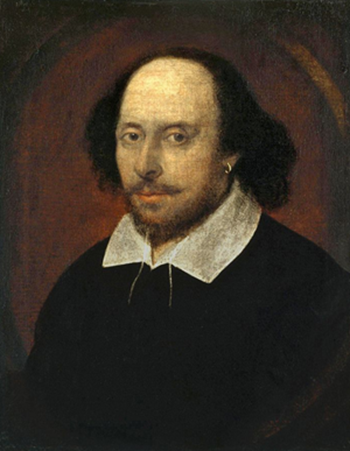 The most famous example comes in the works of William Shakespeare who frequently used this particular structure in his work. Interestingly, this form was mostly used for characters in the upper classes, leaving his lower class characters to speak in prose. Such a dynamic gives an idea to the weight given to the iambic form. Of course iambic pentameter is not the only high-brow form of poetry. The petrarchan sonnet, or Italian sonnet, named for its developer Frances Petrarch has been revered for centuries as the oldest form of sonnet. Poets such as John Milton, whose Paradise Lost is a definitive work in iambic pentameter, Edna St. Vincent MillayEdna St. Vincent Millay and Elizabeth Barrett Browning are known for utilizing this form of verse in their works. Even though the sonnet typically uses iambic pentameter, it also includes other forms such as tetrameter and hexameter. The Italian sonnet is actually divided into two sections: the octave and sestet. The octave is the first eight lines consisting of an “1 2 1 1 1 2 2 1” rhyme scheme. Free verse tends to break all these conventions leaving boundaries set by any metrical form behind. Although free verse may have its own distinct rhythm, it does not need to rhyme or follow any particular stress patterns. Many modern poets follow this form, following the example of famous names including T.S. Eliot, Ezra Pound, Carl Sandburg and Walt Whitman. Even with this throwing away of convention, free verse poetry can have distinct cadences and rhythms depending on the poet’s personal style. Poetic rhythm can range from a lyric poem to a Spenserian sonnet. Poetic styles need not be as restrictive as an iambic form as long as the poetic structure is true to its writer’s vision and is original. Poetry in any form should be expressive and take its readers into a different realm of experience. “Take a breath – we are here to solve your problem,” says Sammy Lakhany CEO. We are a company with a substantial experience and unique individual service which can help you achieve your goals. We have already gathered hundreds of satisfied clients who got their essays. Our customers come from all parts of the world, showing that our service is globally accessible. Our team only consists of native speakers. Moreover, all of our writers are professionals in a certain field and can write a paper from a professional point of view. Our online services provide an opportunity for fast and direct communication and cooperation with a client and a writer. This always brings excellent results. Also, it is entirely free to change your paper, to add some information to it or to replace a particular part. How to be sure you are getting quality papers? If you haven’t tried our service before, it is natural to feel worried and to have doubts. However, it is enough to browse through several examples of our works that we have placed on our site to be sure that you are dealing with professionals. 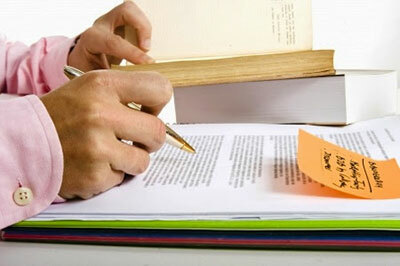 We guarantee not only quality of work itself but also complete papers even before the deadline. Why it is absolutely safe? 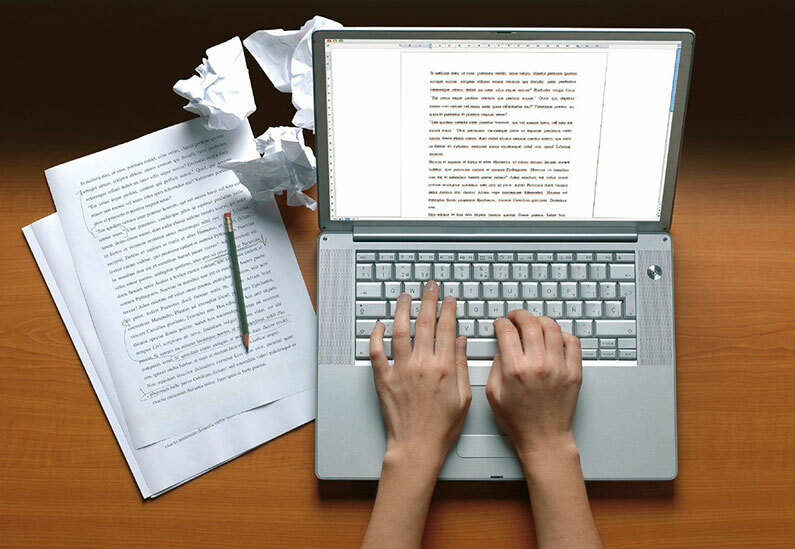 It is okay to be worried when you think whether it is safe enough to write your essay online. That is why we do everything possible to protect our clients from any trouble which can occur while buying an essay online. First of all, we provide complete confidentiality, and we never pass any type of personal or contact information to the third party. 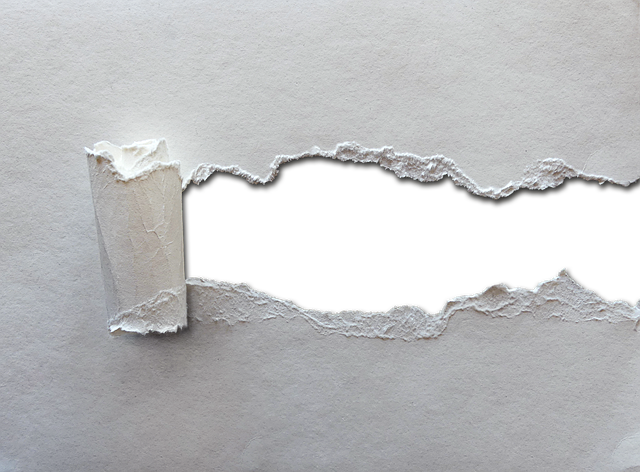 Also, we secure connection between a writer and a client, so you can provide all information, including your samples of papers that will help us write a paper exactly as you would do it regardless if you want it written on how to build a better mouse trap. We also highly protect all our consumers from plagiarism, checking all papers by special internet tools to be sure that text is original and unique. What you get in the result! By providing this type of service many years, this allows us to guarantee you excellent results any time you chose our service. We are also prepared to provide you any topic, academic level and volume of papers and complete the work in shortest time. Our primary mission is to keep our clients satisfied and happy and to give them incredible opportunities for better academic achievements! Do not hesitate and place your order! Your request will be processed as quickly as possible! We promise you will get a properly done papers no matter how hard your academic task is! In essay writing the hardest thing is to get started. In fact, the main thing you need to get started it’s finding an inspirational topic for writing, something you are interested in or care about, then the process will go smoother. On the one hand, it’s much easier when the topic has been assigned, though it limits and narrows your opportunity to be creative. Anyway, in case you have a lack of inspiration, then you should stop thinking and simply relax. Meditation helps to switch off unnecessary thoughts, and when you clear your mind – there will come the inspiration or at least a couple of good ideas to start with. In such an essay you might describe a person, a place or some thing. Be attentive to details and describe small nuances like smell, touch, taste, sound and color. Underline and put in the details that are usually hidden from peoples’ eyes, but is worth writing about. Storytelling or narration is also a great idea for an essay. 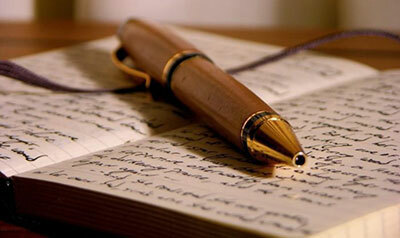 A narration-essay can be an illustration of something or simply a story or a tale to entertain the readers. It can be an imaginary one or a story from your personal life. Some process explaining, describing how something is made or done might also be of a great interest to write and read about. In such a descriptive essay you can clarify or explain something, or even surprise reveling information which is not known by the wide public. In your essay you can either compare something or contrast. Use your imagination to tell about the way something used to be and is now. It can be some comparison of the old good times and nowadays. Or comparison of the feelings and thoughts you had, when you were a child and an adult. It might be a comparison and contrast of two cities or countries. In such an essay you can take some subject or a fact to explain its causes or effects. Tell about global warming, eating or not eating meat, sunbathing, space exploring or genetically modified food. Give your suggestions and think about such things, as why it happens and what to do with that. If you have always dreamt of changing the world to the better you can start with writing a persuasive speech in your essay. The talent of making persuasive speeches is a precious thing, as it might influence lives. You can touch someone’s hart with your essay and even find some adherent. Who knows, maybe you have a talent of persuading people or writing something unique and can begin to teach people how to write in iambic pentameter. Writing is only confined by your imagination. Why don’t you check it right now by writing an essay? An academic career requires a lot of time, dedication, and hard work. Essays and others writing assignments are critical for showing good results in a study and winning respect from professors. At the same time, it’s quite difficult to write excellent papers on your own. Good writing skills can only come if you have long hours of practice. Even when a paper is successfully written, it’s easy to get a lower mark because of a couple of minor mistakes or other details that you’ve missed. Why is our service safe? Instead of hiring armatures, our company is only looking for excellent writers with substantial experience. They are required to present academic papers, proper certificates and diplomas, strong recommendations and impressive CV. 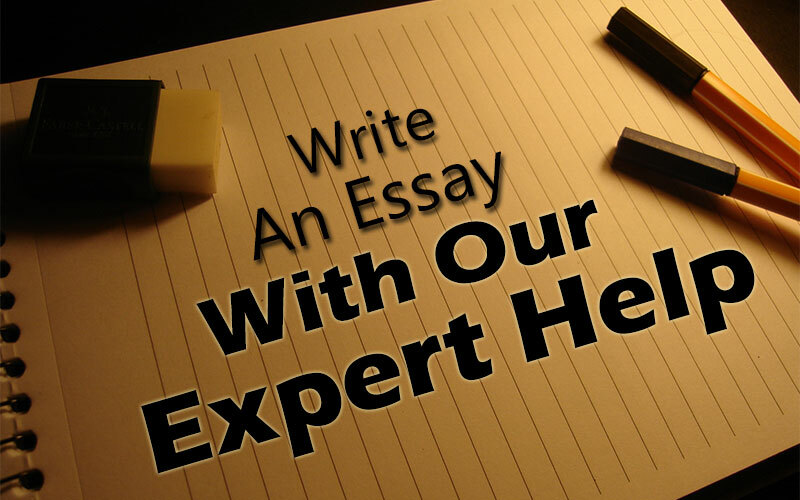 Our writers are real experts that are ready to do valuable researches and browse through newest information to make your essay useful, informative and just outstanding! Each custom essay that we write for our clients is made from scratch. Any plagiarism is strongly restricted. We check the originality of papers before sending them to our customers and provide access to free, reliable web tools for checking originality at any time. By ordering an essay from us, you can be sure you’ll not be in trouble by having somebody’s paper that was already published. We will provide you all necessary guarantees in order to meet all your demands. We have a positive feedback and high rating from our former and current clients, having almost 100% of our customers satisfied with our work. But we still promise to return money back if our clients find real reasons not to be happy about terms or quality of our service. 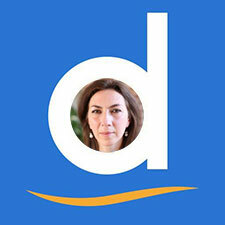 We open for discussion and providing fast and free editing of papers until our clients are entirely satisfied with it. Need only a proofread? No problem! 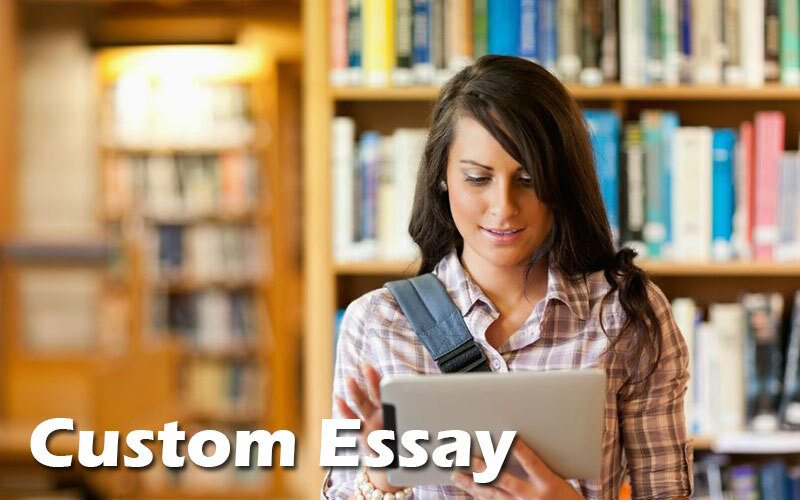 We are widening a range of our custom essay writing services allowing more and more categories of students to experience our care. If you have your paper already written but need a serious look from outside and an objective check and opinion, we are ready to introduce you to our proofreading and editing services. We have experts who specialize in dealing with any amount of text, eliminating 100% of mistakes or misprints. 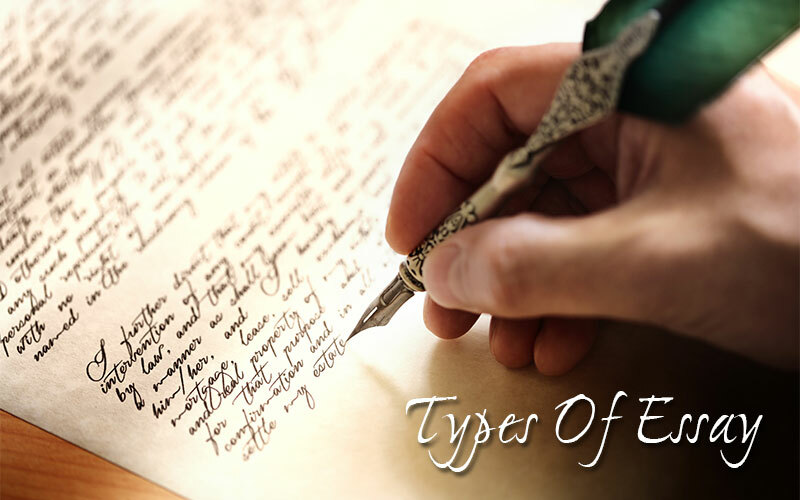 Before getting your custom essay, think about every small detail that will help us to write papers, and that will satisfy you and your teacher. Be sure to fill in all the gaps while using an on-line form for an order. Tell us your academic level, type, and a topic of a writing assignment required style and volume. Don’t forget to mention the deadline, it is critical to us, in this way we can deliver your work right on time. If you have links or sources for additional material, be sure you pass it to us because your essay will be done much faster and with attention to details.